Click here for opening times.. Lavender House Luxury Day Spa, Hair & Beauty in Southport offers the ultimate relaxation experience - from our superb Spa facilities and Paul Mitchell Professional Hair Salon to our top quality Beauty Treatments! We are proud to offer a comprehensive range of hair services to suit your every need. All aspects of colouring, ladies, gents and children's cuts, blow dry's (including curly blows), hair up, GHD straightening and curls. We strive to make sure your hair experience with us is perfect during every visit - from advising you on the latest trends and what would compliment your facial shape to affording you the opportunity to simply sit and relax with a tea or coffee - it's our job to make sure you feel 100% happy and confident in your hair stylist and the services we provide - each and every time. Our hairdresser Alainna currently works Thursday, Friday and Saturday and can occasionally work a Wednesday as well. By appointment only. At our Paul Mitchell Professional Hair Care Salon we offer a full complementary consultation service and we are also proud to be authorised to offer our clients the best possible solution to unwanted hair frizz - Nanokeratin. Nanokeratin is the complete professional system designed to make everyday a perfect hair day. The Nanokeratin control system utilises nature's own natural resources to effectively tame unruly frizz while simultaneously restoring and hydrating your hair. All clients requesting colouring are required to take a skin test 24 hours before service. If you have very long or thick hair please inform us when booking so we can allocate extra time. An extra charge will be incurred depending on time taken. Please call 01704 531400 to take advantage of our special offers and package deals - relax while making great savings! Includes: An hours private and exclusive use of the aromatherapy sauna and aromatherapy and salt inhalation steam room and a 30 minute mud rasul treatment. Following this you can then choose x1 50 minute treatment from the options below. After your treatments you can then enjoy a slice of homemade cake and a tea or coffee in the relaxation lounge to finish. Lymphatic Drainage Face Massage & Foot or Hand Wellness Ritual. 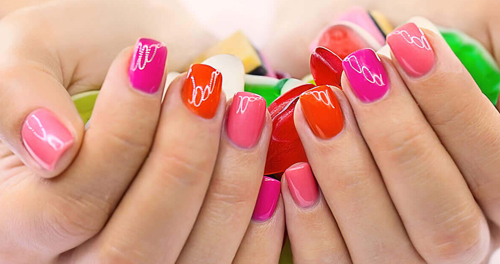 Includes: x2 30 minute treatments and either a Classic Manicure or Classic Pedicure + a glass of Prosecco. Hand Wellness Ritual or Foot Wellness Ritual. Includes: x2 60 minute treatments and either a Luxury Manicure or Luxury Pedicure + a glass of Prosecco. Hand Wellness & Foot Wellness Ritual. This amazing offer gives you £5 off the normal price of the Beauty Elixir facial and includes a free 15 minute back massage. 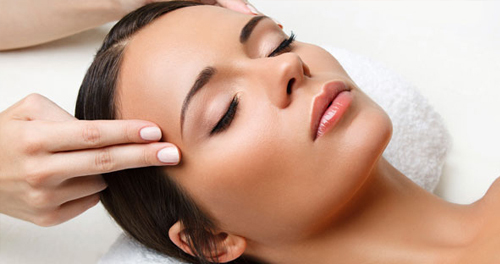 This facial is suitable for all skin types, consisting of an original combination of relaxing massage techniques using Beauty Elixir, one of Caudalie’s cult products. After cleansing and exfoliating an oil free massage is performed using misting and gentle pressure, boosting micro-circulation from the face to the décolleté for an instant burst of radiance. The face is rested and the complexion is fresh and glowing with health. Full Body Scrub, Indian Head Massage, Face Massage, Full Body Massage. This amazing treatment is exclusive to Lavender House and features an assortment of Natural Spa Factory products. Treatment begins with a full body scrub using a Yuzu, Pink Beets & Watermelon salt scrub which delivers skin protecting antioxidants and vitamins to purify and brighten the skin. After showering the scrub off the treatment continues with an Indian head massage using Raw Organic Coconut oil which is rich in proteins and vitamin E. A full body massage is tailored to your requirements using a calming massage oil containing Sunflower seed oil and Apricot kernel oil, both rich in Vitamins A & E, work to renew cells, nourish skin and fight free radicals, great for firming and keeping skin supple. After gently cleansing the skin a relaxing face massage is performed using Organic Rosehip Oil which is a brilliant source of Vitamins E, C, D, F and Beta-Carotene. Skin is left even, balanced and dewy. Why not add on Afternoon Tea to any of the offers for £15.95 per person or sandwiches and crisps for £4.95 per person. Prosecco can be bought for £5 per glass. Please Note: To add on food we need advance notice and full payment in advance for Afternoon Tea. For special dietary requirements (Vegan, Gluten Free, Dairy Free) Afternoon Tea is priced at £18.95 per person. Out of Hours - Please leave a message.. Lavender House is an exclusive Luxury Day Spa in Southport incorporating a modern Paul Mitchell Professional Hairdressing Salon and Nail Bar with a warm, friendly and welcoming ambience. Lavender Houserated 5/ 5 based on 306reviews.